About 21.5 Americans’ social security numbers and other sensitive personal information were compromised due to the hack of the U.S. Office of Personnel Management, according to an article posted today on cnn.com. It seems data breaches have become so common that those unaffected are undocumented workers or Amish. How did personally identifiable information become so vulnerable? The answer isn’t limited to the technology. Our vulnerability is actually the result of a combination of historical, social and economic factors. To improve protection of personal information, it is important to consider how we got here. Before social security numbers were assigned to Americans, identity was simply a person’s name. After spending decades on genealogical research, I can attest to the fact that before the 1900 census, the government asked very little personal information about Americans. When President Franklin Delano Roosevelt began the Social Security program as a response to the Great Depression, social security numbers were only to be used for the program. 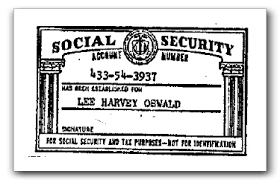 Old social security cards indicate that the numbers are “not for identification.” Just check out the Social Security card of Lee Harvey Oswald, who purportedly assassinated President John Fitzgerald Kennedy. Over time, corporations got away with using social security numbers as identification for multiple purposes. It’s been necessary for obtaining credit or health insurance purposes since at least the mid 1980s. When I started college in 1986, my identity number was my social security number. I suspect that cell phone numbers will also become a necessary form of identification that will evolve into being used on a “mandatory” basis just like social security cards. Socially, the culture of the United States has changed from one of valuing personal privacy to one of perpetual sharing. “It ain’t none of your business,” was a very common retort when I was growing up. getting ahead of us, but also to changing values of privacy. For Americans to begin caring about personal privacy again, enough might have to suffer the consequences of losing (or even sharing) private information. For example, if you knew anyone who suffered through the Great Depression, you might have observed how that generation saved everything “just in case.” Because of the great suffering, Roosevelt got the support necessary to start social security. But for now, Americans seem more engrossed in Caitlyn Jenner and gender identity issues rather than the ultimate identity issue: someone stealing yours and using it for criminal activity, extortion or even terrorism. Some of this theft comes from information Americans willingly share on the Internet. Other important data, including financial and medical information, is being breached from the government and corporations. Combine that public information once stored on paper files and the opportunities for harm are endless. We have already seen ISIS threaten individual military members and their families because Facebook can give a clue to their home and Google Maps will point the way there. Terrorists can certainly do the same to civilians as well. As a Gen Exer, I was most influenced by the Baby Boomers. They were my younger professors who taught me women’s studies, gay politics and civil liberties. They all stressed that American freedom includes the universal right to privacy for all Americans. For the majority of Americans, HIPAA is now just part of the pile of papers they need to sign at the doctor’s office. The law was enacted before the rise of Internet commerce and when Baby Boomers and older generations were the majority of the country. Complying with HIPAA only gets ting more difficult as paper medical records are being converted to electronic files. Then Gen Exer President Barack Obama ushered in the Affordable Care Act, which throws medical privacy out the window. Now the federal government has access to your medical records because health insurers and medical providers are required to share them. of losing (or even sharing) private information. Federal agencies are hardly safe custodians. Just ask the potential 9+ million past and present federal workers and our military whose data is now vulnerable to whoever hacked it. Further, cyber incidents, including data breaches, are on the rise according to Verizon’s “2015 Data Breach Investigations Report.” Add to that 66 percent of accountable care organizations surveyed last year by the Ponemon Institute, who believe patient privacy risk has grown and do not have great faith in data security. The vulnerability of Americans’ personal information is not only just due to technology getting ahead of us, but also to changing values of privacy. Looking back to history and considering past policy and social mores provides context for developing ways to promote privacy. I have a few ideas in mind and soon I will share them in a future blog. Maintaining privacy is not easy these days, but national security document leaker Edward Snowden is here to help. In a recent interview, Snowden warns those who really care about their privacy should quit using services like Dropbox, Facebook and Google because the information might not be as secure as you would like to believe. But really, you are better off assuming that anything you publish online is not private information. Consider this . . . posting on social media is a form of publishing. You might think of publishing in the traditional sense, where the writing and editing processes require accuracy and thoughtfulness. Personal social media publishing is often spontaneous and filterless. It lacks boundaries. In fact, you can tell the degree of personal boundaries – and vanity for that matter – by looking at their posts and pictures (selfies especially). You probably already know that data mining companies are developing consumer profiles about you. They determine a person’s social media score based on what you post. The profiles and social media scores also influence the advertising you see while online. This should not be confused with social media scoring that communications professionals use to determine a person or organization’s social media influence. To learn what one journalist found out about her self through the eyes of data miners, click here. You might even know that workers’ compensation and disability insurers use social media to identify claimant fraud. But social media scoring is different because it reveals how your behaviors affect the probability for future insurance claims. In concept, it is similar to a credit score. That means your innocuous postings could affect insurance availability and premiums. When I discussed this on background with an industry expert, he told me that there are life insurers that do use social media sites to learn about future and current clients. The goal of insurance companies is to judge the risk of the person they are covering so premiums are fair to everyone. We are used to life insurance companies, for example, checking our vitals and blood before writing coverage. What insurers have learned, however, is that social media can provide more relevant information to assign premiums. For example, you could have great academic test results, but social media can reveal your true risk profile. If you engage in dangerous activities, such as motorcycle riding, that risky behavior tells the insurers you’re more likely to have an accident. “Liking” fattening foods can also contribute to your social media score. Commenting too much on television programs could mean your lifestyle is too sedentary. Mentioning negative emotions, like being depressed, could point to significant mental health issues. If the idea of insurance companies checking you out online seems to bristle against your assumption of a constitutional right to privacy, remember that once you have published information on social media, that information is fair game. Many experts warn that privacy controls are not always reliable. But this can also work to your advantage. Liking cites that encourage diet and exercise implies your interest in living a healthier life. Posting a picture of your 100-year-old grandmother demonstrates longevity. Mentioning that you ran in a marathon will help your profile or posting a healthy recipe could improve your score. Showing a positive attitude about life could also reflect a healthy outlook on life and better coping skills. To the degree insurers use this information, along with other traditional factors such as age, gender and marital status, is different for every insurer. If you are really concerned about your data privacy, you might want to consider Snowden’s advice to avoid popular web services. Otherwise, remember the old adage, “you are what you eat?” In social media, you are what you post. Thanks to solomonsseal.wordpress.com for the photo. In last week’s blog, I explained that the path to a better workers’ compensation system begins with getting past the political arguments. I am convinced that better informing workers about how the system should work will greatly improve both public policy discussions and the claims process. Injured workers can be tempted to stay home from work as long as possible. I suspect they do not realize the long-term implications of unnecessarily being off work too long. Before I make the case for return-to-work for injured workers, I want to state very clearly that I am in no way suggesting that injured employees work hurt. This is inhumane and can lead to possible re-injury, which can make a claim much more complicated than necessary. Injured workers need to know that returning to work as soon as medically feasible is in their best interest in the long term. Studies have shown that the longer an employee is away from work, the less likely they are to return. One concluded that after 12 weeks, injured workers have only a 50 percent chance of returning to work and by one year, potential for gainful employment drops to less than 2 percent. There is just something about work that gives people meaning. When I was an outreach worker to senior citizens in my teens, I saw retirees die unnecessarily early because they did not find meaningful activity after retirement. I remembered asking an African-American woman in her 90s who was born before 1900 how she lived so long despite all she had been through. She said she always made sure she had work to do. as soon as it is OK with your doctor. Absence costs workers in several ways. Consider the disruptions in family life and schedules and restrictions from pleasurable activities, such as hobbies or sports. Finding another job in the current economic market may also prove to be difficult. Workers can be adversely affected psychologically when they are not working and do not feel like productive members of society. For 20 years my father loaded trucks for a living. When he sustained soft tissue back injuries and did not return to work, he didn’t feel like a man because he could not provide for his family. Prior to this he never missed a day of work, but ended up on social security disability. He died about 12 years after filing for workers’ compensation. 1) Don’t listen to anyone who tells you to take advantage of workers’ compensation and enjoy the time off from work. While it appears to be a break in the short-term, it really isn’t worth it. 2) Let your employer know you want to come back to work as soon as it is OK with your doctor. 3) Help your employer find ways you can work. 4) Are you eligible for telework? If so, make it known that your willing to work remotely. 5) Contact your company’s Employee Assistance Program to find out other ways you and your family can get support. And if your employer does not help you return to work, focus on looking for work elsewhere. You want to work for people who care. My hope is that this blog will inspire injured workers to take an active part in the process. I also hope it encourages employers and system professionals to help educate injured workers. What else should injured workers know? Please share in the comments section. As a journalist and writer, I have objectively covered virtually every aspect of workers’ compensation from all perspectives for more than 20 years. Everyone wants to see a better system. But we can’t, however, seem to get past the tired, old post-industrial revolution debates. Public policy conversations feel more like massive labor-management contract negotiations than forward-thinking conversations about how workers’ compensation can better serve injured workers and their employers. Meanwhile, too many injured workers are being adversely effected because they do not know how the system is supposed to work. The sooner they let their employers know about a work-related incident, the quicker they can get workers’ compensation benefits. Workers, employers and insurers do not benefit from delayed claim filing. Informing employers about a work-related incident is also the best way an employer can address a safety hazard to prevent other co-workers from getting hurt. So if you get hurt at work, don’t hesitate. File a claim. Getting the best immediate care is more important for healing than seeing your general practitioner who is not likely to be familiar with occupational medicine. Injured workers should never pay a medical bill or accept shoddy physician care. 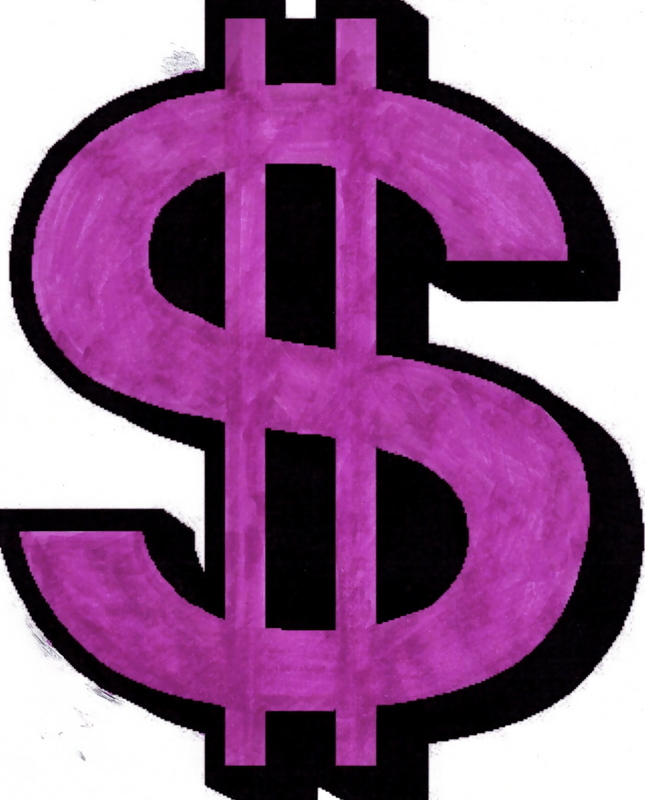 Workers’ compensation provides first dollar coverage, except in Washington state, which requires a co-pay. If your doctor is not helping you get better, ask the insurance company for a nurse case manager who knows who the good docs are. Public policy conversations feel more like massive labor-management contract negotiations than forward-thinking conversations about how workers’ compensation can better serve injured workers and their employers. Giving employers and their insurers a chance to respond to a claim filing is often a better bet than hiring attorneys. Workers’ compensation was originally designed as a self-administrating program intended to discourage litigation. One study showed that 46 percent of injured workers who hired attorneys said they did so because they felt their claims had been denied when actually, they were not yet in the process. To learn more about the Workers’ Compensation Research Institute’s (WCRI) study on why injured workers hire attorneys, please click here. (Full disclosure WCRI, an independent research organization, is a client of Lipold Communications, LLC). Therefore, if you have not heard from the insurer or your employer within a week of reporting the accident, contact your employer to make sure the claim was properly reported. Attorneys get about 10 to 25 percent of paid wage replacement benefits. As with any professional, get good references for lawyers who will advocate for you, not their wallets. Want to know your claim status? Call the insurer’s claim representative. I hope this blog will encourage a concerted effort to better educate the workforce. Employers can learn more about workers’ compensation communications plans by clicking here. Next week I will offer more tips. In the meantime, what else do injured workers need to know? Special thanks to watoday.com for pic. Last week’s blog covered some of the reasons why injured workers file claims according to a study, “Avoiding Litigation: What Can Employers, Insurers, and State Workers’ Compensation Agencies Do?” published by the Workers Compensation Research Institute in 2010. (In full disclosure, WCRI is a client of Lipold Communications.) The study is based on the responses of 6,823 injured employees with lost-time claims in 11 states that represent 46 percent of the nation’s paid workers’ compensation benefits. This week’s blog covers on other factors that boost the chances workers will ask lawyers for help, according to the WCRI study. Claims with greater injury severity or complexity are more likely to be litigated, according to the WCRI study. Attorney involvement among workers with the most severe injuries was 15 percentage points higher than those with mostly minor injuries. Not surprisingly, soft tissue injury claims, for example, were more likely to involve attorneys. Unlike claims connected to specific incidents, soft tissue injury claims can often be filed without the employers’ knowledge, which makes it difficult for them to communicate to workers right away. By considering employee demographics, employers know their audience better — which is essential for creating effective employee communication plans. This underscores the point I made in a previous blog that an effective workers’ compensation employee communication plan should educate workers about workers’ compensation before work-related injury incidents occur. Workers who know what to do and what to expect are more likely to get the best medical treatment. Employer size is also a potential factor depending on the situation, WCRI found. Larger companies are more likely to have co-workers with negative experience with workers’ compensation. However, larger employers are more likely to have the resources to provide timely and effective outreach to injured workers. Workers in smaller organizations, however, are more likely to have direct personal relationships with their employers so claims are less likely to involve attorneys. How long an employee has worked for an employer affected the likelihood of workers hiring attorneys. Workers who had less than one year on the job were injured were more likely to hire attorneys, according to the study. Meanwhile, those with more than 10 years of tenure with the same employer were less likely to involve attorneys due to employer loyalty. This was offset, however, when workers feared a pay cut from being unable to return to a job with their employer. An employee’s age can also be an influence. Twenty percent of workers aged 55 or older hired attorneys, according to the study. About 17 percent of those between the ages of 25 and 54 hired attorneys, and nine percent of 15 to 24-year-olds did so. The study hypothesizes that older workers are more likely to know others who hired attorneys. Union membership is often perceived as a reason why workers’ sought out legal help but this depends on the situation. The WCRI study noted union membership is not a reliable factor because the pros and cons of union involvement cancelled each other out. Unions can provide valuable information to workers and tend to have connections to lawyers. Unions, however, can also provide protection for reemployment and can help members through the process. An employee’s level of education is also a factor. The less educated workers were more likely to hire an attorney because they were more likely to be intimidated by the claims process. The study notes that high school graduates were six percentage points more likely to hire attorneys than college graduates. WCRI’s study points to the importance of understanding the demographics of the local labor force. The key to effective communication is all cases begins with knowing the audience you are trying to reach. By considering employee demographics, employers can know their audience better — which is essential for creating effective employee communication plans. To learn more about the importance of knowing your audience for effective communication, click here. My blog on customer empathy, which you can find by clicking here, should also be helpful. Special thanks to myremoteradio.com for the pic. Workers’ compensation got started about a century ago to remove workers and their employers from the tort system when occupational injuries and deaths occurred. Unfortunately this oldest form of American social insurance remains highly litigious – and costly. Attorney involvement in claims is expensive for injured workers and employers alike. Claims involving attorneys cost an estimated 30 percent more in expenses. And too often, workers do not understand they could stand to lose 10 to 25 percent of their compensation to attorney fees. Hiring attorneys is often unnecessary. When employers do an effective job communicating to workers about workers’ compensation – especially the claims process — litigation can often be avoided. It turned out, however, that these workers did not understand that their claims had not yet been accepted into the workers’ compensation claims process. Thankfully, there are ways that employers can minimize unnecessary legal action. Employing a communication plan can discourage uncertainty and save thousands of dollars in potential workers’ compensation cases as I outlined in a previous blog. Training supervisors, also covered in a past blog, also makes a difference because they are often in the best position to communicate and set the tone for injured workers’ experiences. Insufficient information about what happens after a work-related incident can breed fear. Since the largest reason why workers hired attorneys was due to fear of their claims being denied, timely communicating a claim’s status should reduce the likelihood of attorney involvement. This reinforces my contention that workers need communication tools that explain the claims process, telling them what to expect and when. Employers would do well to make that investment. Employers also need to communicate to workers in language they understand. Those interviewed in Spanish hired attorneys twice as often as those who were interviewed in English. Given that workers’ compensation is hard to understand for those of us who speak English, I can only imagine how difficult it must be for those who do not know the language well. The WCRI study offers more reasons why workers hire attorneys. I’ll cover those in next week’s blog! This blog is not directed to my readers. Instead, it is written for those who are shooting themselves and others in the foot by writing stupid posts on Facebook and other social media. In a society where the “me” generation has given way to celebrated narcissism, Facebook provides new and exciting opportunities for people to look stupid. An old sage said if you ever write something while you’re angry or upset, you should put it away for a while. That way you’re less likely to share it — or maybe you’ll tone it down. Well, somewhere along the line, that notion fell out of vogue with the value of personal privacy. Thanks to the Internet, just about anyone now can publish anything without the traditional filters of editors and publishers there to protect them. And frankly, I don’t know a good writer who does not appreciate the helpful scrutiny of an effective editor. Every post is a personal news release that can go viral at any time. Here are the five dumbest things I have seen people write on Facebook. #3. Sharing Your Religious, Ideological or Political Beliefs. Thanks to social media and the Internet, the line between the personal and professional is blurring. Don’t risk offending a future employer who happens to see your post. If you can, stay neutral. If not, be ironic. #4. Geo-Tagging (Or Telling the World Where You Are or Are Not) Oh sure, we know not to set out the welcome mat for burglars by announcing we are out of town. But really, should you tweet your location and tip off your smart teenager or her friends that no adults are home after school? #5. Posting Too Much Personal Information. Please do not post your phone number, home address or your birth year. This information is already too easy to find. This also applies to relationship status, especially “it’s complicated.” It’s negative and confusing. Do share this post and stop the madness!